Queens: Queens will live about 3 years. It is highly recommended that a queen be replaced annually, in the fall. Drones: Drones will die once mated or at the end of the season when the workers drag the drones from the hive to conserve the hives winter resources. 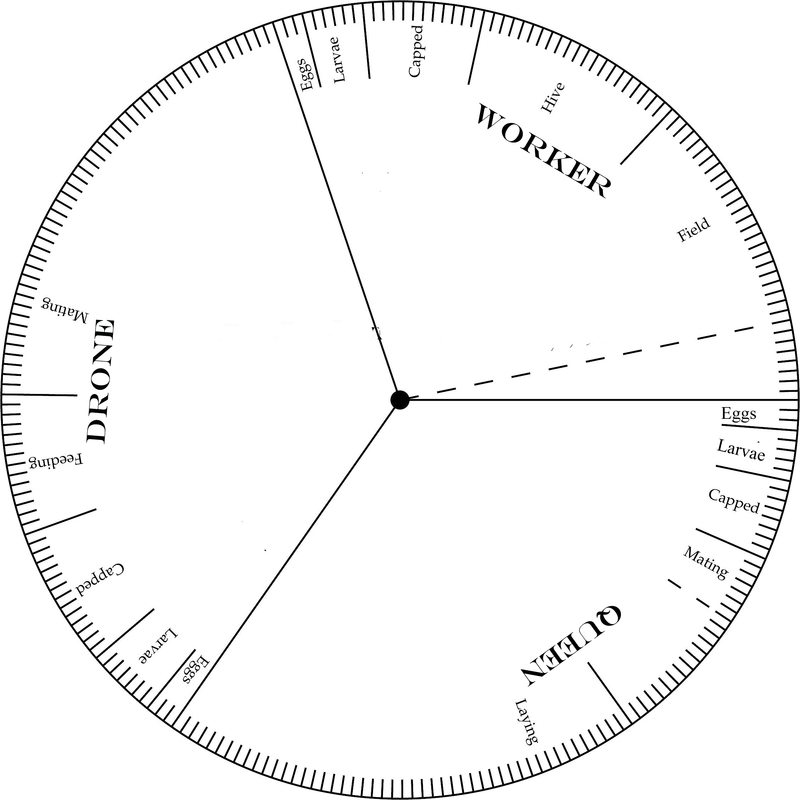 Here is a handy Russian Bee Life Cycle wheel to use while in the bee yard. Take it along with your inspection report to calculate the times that eggs, larvae, capped brood, mating, or laying should occur. Download, print, cut and attach the two wheels together. 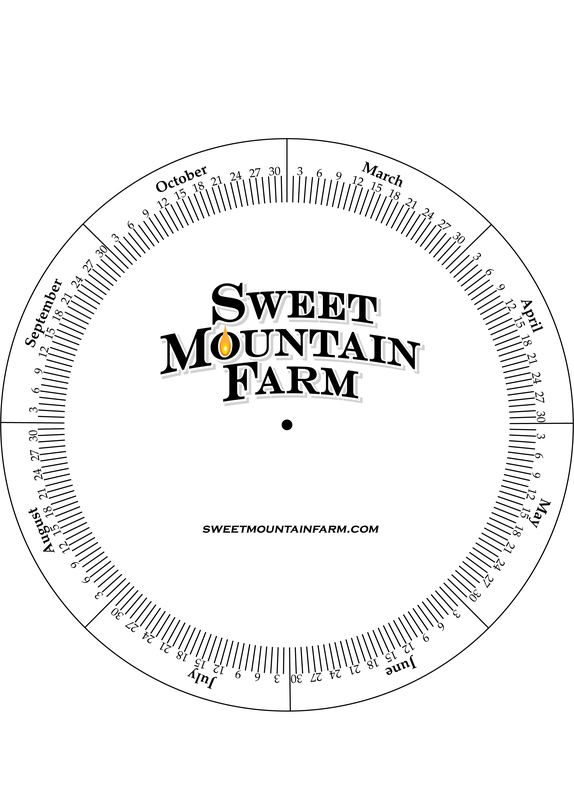 Enjoy the project or order a laminated Life Cycle Wheel from Sweet Mountain Farm.